This is a genuine Hamilton Beach replacement part. This part is used for brewing a single serving of coffee grounds, or the single serve K-Cup packs. Used with Hamilton Beach 2-Way FlexBrew Coffee Maker, model# 49983S. Part is made of plastic, and is installed by snapping into place. Is this part compatible with this model? Hello Brian, thank you for your question. Yes, the K- Cup Holder Part Number: 990155600 will work with your model I hope this helps! Will this part work in my Flex Brew 49980Z? If not, what part will and do you have it? Thank you. Hello Hollis, thank you for your inquiry! Part 990155600 k-cup holder does not show compatible with model 49980Z. However, we took a look and the correct part you are requesting that is compatible with your model is part number 990118000. I hope this information helps! will cup holder p/n 9901556900 work with my model 49954 ? Hello John, Thank you for the question. Sadly, we do not have any information on the model number you provided. Could you please verify the number you provided us with? If it is correct, I recommend contacting the manufacturer and seeing if they could provide you with a part number, and then you are always welcome to check back to see if we carry the part. Hope this helps! Will part 9901556900 work with our model #49952? The part comes up when I click the parts and accessories link from the model 49952 page on your website but then under compatible machines, only the 2-way flex brew is listed. Hello Audi, Thank you for the question. Sadly, we do not have any information on the model number you provided. Could you please verify the number you provided us with? If it is correct, I recommend contacting the manufacturer and seeing if they could provide you with a part number, and then you are always welcome to check back to see if we carry the part. Hope this helps! When will replacement part single-serve pack holder be available? We have been missing one for months. Hello Audi, Thank you for the question. 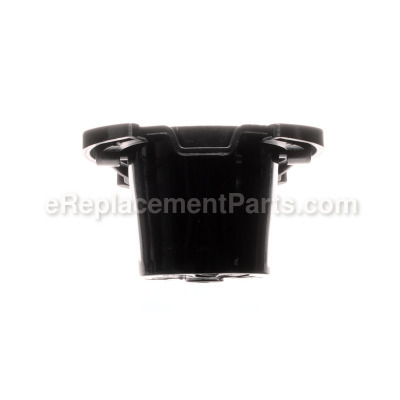 The K- Cup Holder, Part Number: 990155600 is showing in stock and ready to ship. Please feel free to contact us to place an order or you can place an order online as well. Thank you for your inquiry, good luck with this repair! Hello Larry, Thank you for the question. The model number is normally on a sticker located on the bottom of the base or on the back of the appliance. Thank you for your inquiry, good luck with this repair! K cup got thrown out accidentally. This one looks the same. Will it work? Hello Joy, thank you for contacting us, In order for us to locate the correct parts and repair information we will require the model number of the Appliance. Once you have located the model number please feel free to resubmit the question and we will be happy to help you. Look forward to hearing from you! Replaced a lost single-serve pack holder insert to coffee maker, no tools needed just load and go. Worked great! Someone intended to throw out a used k-cup, but threw out the whole k-cup and the single serve pack holder/adaptor. So we couldn't make K-cups for a while. Order the missing part (and an additional backup part, because, thinking ahead). Get the missing part through the mail. Use hands, gumption, and product manual to fit part where it goes. Hide additional backup part so it is ready to whip out in case of emergency. Make coffee. Rejoice! No repair needed, just needed to replace the K-Cup brew basket that was accidentally thrown away. Slipped unit into female slot, and off we went. There was actually no repair, but the part I ordered was shipped in a very timely manner, packaged well, and was the correct one. I’m very happy with the service. I just placed the part in the coffee maker. This part is to easy to replace, it just snaps right in. Single-serve pack holder was lost. Easily put the part into the coffeemaker. Did not think it fit at first. It took a little finagling to set the holder into the coffee pot, because it was stiff. However, once it was in the first time it was no problem. Thank you very much! The little puncture blade was broken off and lost. Replaced the old broke part with the new part. The coffee maker works like new.